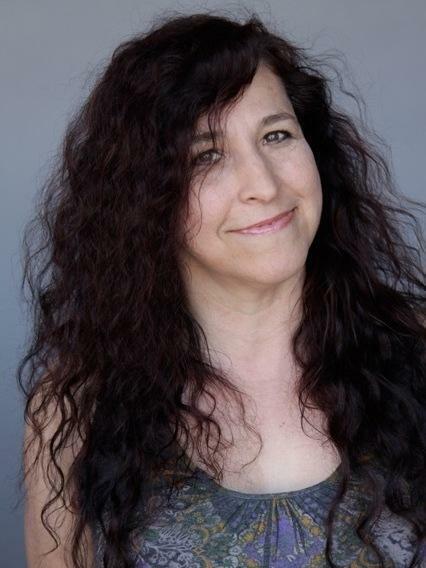 As an arts correspondent based at NPR West, Mandalit del Barco reports and produces stories about film, television, music, visual arts, dance and other topics. Over the years, she has also covered everything from street gangs to Hollywood, police and prisons, marijuana, immigration, race relations, natural disasters, Latino arts and urban street culture (including hip hop dance, music, and art). Every year, she covers the Oscars and the Grammy awards for NPR, as well as the Sundance Film Festival and other events. 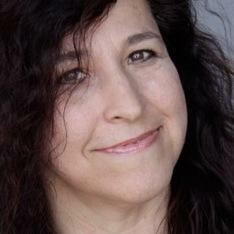 Her news reports, feature stories and photos, filed from Los Angeles and abroad, can be heard on All Things Considered, Morning Edition, Weekend Edition, Alt.latino, and npr.org. del Barco's reporting has taken her throughout the United States, including Los Angeles, New Orleans, New York, San Francisco and Miami. Reporting further afield as well, del Barco traveled to Haiti to report on the aftermath of the devastating earthquake. She has chronicled street gangs exported from the U.S. to El Salvador and Honduras, and in Mexico, she reported about immigrant smugglers, musicians, filmmakers and artists. In Argentina, del Barco profiled tango legend Carlos Gardel, and in the Philippines, she reported a feature on balikbayan boxes. From China, del Barco contributed to NPR's coverage of the United Nations' Women's Conference. She also spent a year in her birthplace, Peru, working on a documentary and teaching radio journalism as a Fulbright Fellow and on a fellowship with the Knight International Center For Journalists. In addition to reporting daily stories, del Barco produced half-hour radio documentaries about gangs in Central America, Latino hip hop, L.A. Homegirls, artist Frida Kahlo, New York's Palladium ballroom and Puerto Rican "Casitas." Before moving to Los Angeles, del Barco was a reporter for NPR Member station WNYC in New York City. She started her radio career on the production staff of NPR's Weekend Edition Saturday with Scott Simon. However her first taste for radio came as a teenager, when she and her brother won an award for an NPR children's radio contest. del Barco's reporting experience extends into newspaper and magazines. She served on the staffs of The Miami Herald and The Village Voice, and has done freelance reporting. She has written articles for Latina magazine and reported for the weekly radio show Latino USA. Stories written by del Barco have appeared in several books including Las Christmas: Favorite Latino Authors Share their Holiday Memories (Vintage Books) and Las Mamis: Favorite Latino Authors Remember their Mothers (Vintage Books). del Barco contributed to an anthology on rap music and hip hop culture in the book, Droppin' Science (Temple University Press). Peruvian writer Julio Villanueva Chang profiled del Barco's life and career for the book Se Habla Espanol: Voces Latinas en USA (Alfaguara Press). She mentors young journalists through NPR's "Next Generation", Global Girl, the National Association of Hispanic Journalists and on her own, throughout the U.S. and Latin America. A fourth generation journalist, del Barco was born in Lima, Peru, to a Peruvian father and Mexican-American mother. She grew up in Baldwin, Kansas, and in Oakland, California, and has lived in Manhattan, Madrid, Miami, Lima and Los Angeles. She began her journalism career as a reporter, columnist and editor for the Daily Californian while studying anthropology and rhetoric at the University of California, Berkeley. She earned a Master's degree in journalism from Columbia University with her thesis, "Breakdancers: Who are they, and why are they spinning on their heads?" For those who are curious where her name comes from, "Mandalit" is the name of a woman in a song from Carmina Burana, a musical work from the 13th century put to music in the 20th century by composer Carl Orff. Now in Hollywood last night, Microsoft unveiled its newest product: a tablet computer to compete with the iPad. Putting out a computer is an unusual move for Microsoft, which is mostly known for software. NPR's Mandalit del Barco was at the announcement. 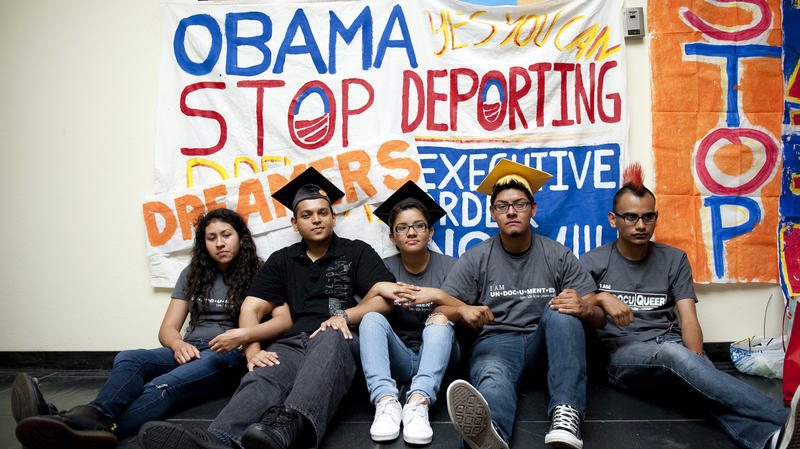 Is Deportation Freeze A 'Big Relief' Or 'Cynical Ploy'? At the University of California, Los Angeles, Labor Center in downtown L.A., more than 100 student leaders from around the country hugged and cheered as President Obama delivered his immigration announcement Friday. Obama outlined a new policy to temporarily stop deporting some young illegal immigrants and make them eligible for work permits. Diego Sanchez was born in Argentina and brought to Miami 12 years ago. He's working on getting his MBA. He welcomed the president's announcement. Let's update you now, on a new partnership in the news business. ABC News and Spanish language TV network Univision have announced they're joining forces. They're creating a multiplatform news service. The language will be English. The target is Latino audiences. "The Artist" won five Oscars last night. That's the black and white silent movie set in the 1920s and '30s. The style of that movie tells you something about the style of last night's awards ceremony. NPR's Mandalit del Barco was backstage.